Used eyeglasses may sent to the Vision Foundation or dropped at one of the many collection locations in Minnesota. 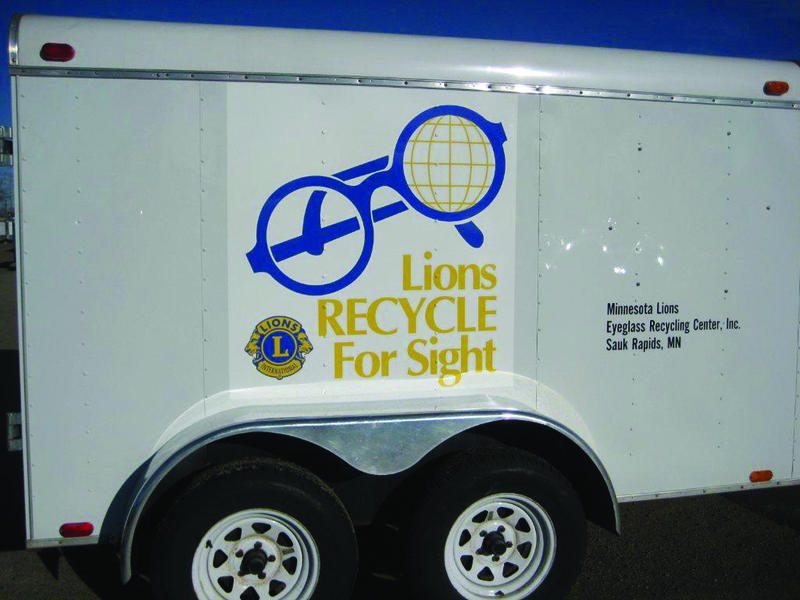 Please reference the Minnesota Lions Eyeglass Recycling Center for a list of drop sites and information. For news, visit the Minnesota Lions Eyeglass Recycling Center’s Facebook page. How Are the Lions Helping? For 80 years, individual Lions clubs and districts have collected old, unwanted eyeglasses for redistribution to the poor in developing countries. Lions and other volunteers donate travel expenses, time, and talent to dispense recycled eyeglasses free of charge to individuals in developing nations. Some people walk 50 miles to receive free eyeglasses from the Lions. It costs fewer than 8 cents to provide glasses to a person in a developing nation. Minnesota Lions members have now collected more than eight million pairs of eyeglasses. The Wisconsin Lions Foundation operates a regional facility in Rosholt, Wisconsin where Lions volunteers clean, repair, and classify the glasses by prescription. Glasses are then made available for medical mission work.